≈ An essential reissue of ELP's ambitious 1971 sophomore release. The searing 22 minute anti-war title suite is arguably the most celebrated composition in ELP's history. ≈ The original album is augmented by several previously unreleased songs and alternate versions. ≈ Presented as a deluxe 2012 2cd/1dvd version featuring stereo and 5.1 mixes from the patron saint of surround sound, Mr Steven Wilson, the armour-plated armadillo has never sounded so good. ≈ The comprehensive booklet contains sleeve notes by Chris Welch. 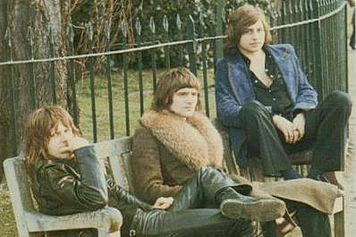 ≈ Emerson, Lake & Palmer, also known as ELP, are a sporadically active English progressive rock supergroup. They found success in the 1970s and have sold over forty million albums and headlined large stadium concerts. The band consists of Keith Emerson (keyboards), Greg Lake (bass guitar, vocals, guitar) and Carl Palmer (drums, percussion). They are one of the most popular and commercially successful progressive rock bands. ≈ The ELP sound is dominated by the Hammond organ and Moog synthesiser of the flamboyant Emerson. The band's compositions are heavily influenced by classical music in addition to jazz and – at least in their early years – hard rock. Many of their pieces are arrangements of, or contain quotations from, classical music, and they can be said to fit into the sub-genre of symphonic rock. However, Lake ensured that their albums contained a regular stream of simple, accessible acoustic ballads, many of which received heavy radio airplay. Lake, besides providing vocals, bass guitar, electric guitar and lyrics, also produced the band's first five albums. ≈ Tarkus, released in 1971, was their first successful concept album, described as a story about "reverse evolution". Combining a side-long song with an assortment of hard rock songs, an instrumental and even some comic songs, it was quickly cited as landmark work in progressive rock. The epic "Tarkus", recorded in just 4 days, is a seven-part rock suite which incorporates a number of complex time signatures. The breadth and complexity of the music combined with the series of William Neal paintings incorporated into the sleeve art helped to cement ELP's reputation as being on the forefront of progressive rock music. ≈ ELP were heavily criticised by some music critics, one citing a joke, "how do you spell pretentious? E-L-P." Robert Christgau said of the band "these guys are as stupid as their most pretentious fans". Christgau called ELP the "world's most overweening 'progressive' group". 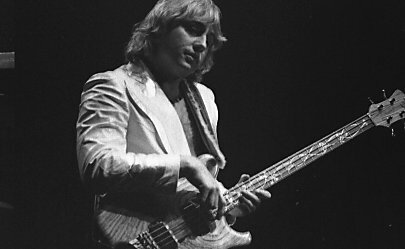 ≈ John Kelman of All About Jazz noted that an "overbearing sense of self-importance turned ELP from one of the 1970's most exciting new groups into the definition of masturbatory excess and self-aggrandizement in only a few short years." Kelman also stated that "in their fall from grace, [ELP] represented everything wrong with progressive rock."